David Suzuki's new film Force of Nature: The David Suzuki Movie will be shown at the Vancouver International Film Festival later this week, then the film goes into wide release in October 15th. In the film, David Suzuki, iconic Canadian scientist, educator, broadcaster and activist delivers a 'last lecture' -- what he describes as "a distillation of my life and thoughts, my legacy, what I want to say before I die". The film interweaves the lecture with scenes from the places and events in Suzuki's life - creating a biography of ideas - forged by the major social, scientific and cultural events of the past 70 years. If you can't wait, watch the preview below. For ideas about greener living, visit Vancouver-based eco boutique Lavish & Lime. 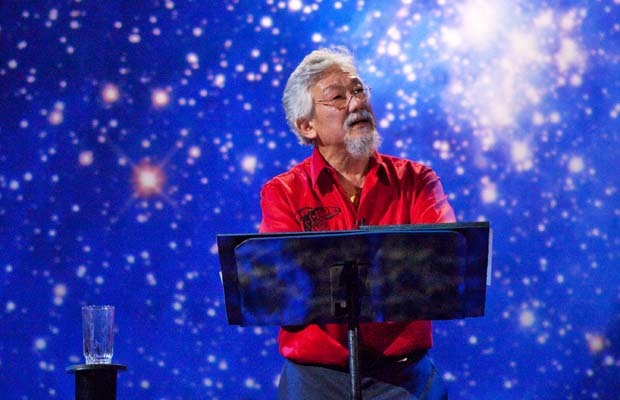 If you have any thoughts or ideas about Force of Nature or David Suzuki, please leave a comment below. We'd love to hear from you!